Smart phone users rely on their phone to perform a variety of tasks, such as searching for nearby restaurants, accessing social media platforms and even answering work emails. Therefore, users demand a high level of performance and connectivity from their smart phones. Below introduces three ways that will increase a smart phone’s app performance and connectivity. Phone manufacturers almost always overload their phones with unnecessary apps, which are derisively referred to as bloatware. Many of these apps are some sort of paid service, such as music or video download platforms. These pointless apps take up storage and memory space, which slow down the phone’s overall performance. This is because most apps run background processes, regardless of whether the user actually opens or authorizes the app to run. Therefore, users should uninstall any apps that they do not need. However, phone manufactures have responded to this practice through restricting app uninstallations. As a result, phone users can only disable the app. While this will not delete or uninstall the app, it will prevent them from running in the background and hide them from view of the app tray or home screen. The advantage of this way is that they can be re-enabled at any time. Phone users should ensure that their smart phone has the latest firmware version. This can be accessed through the advanced phone settings. Every new update means better stability, higher performance and smoother connectivity. On the other hand, most smart phones automatically update apps through the app center or play store. Sometimes, smart phone users will turn off automatic updates because they want to save their monthly, limited bandwidth. However, when there are free Wi-Fi spots available, they should update all of their phone apps. This is important because app development is a continual improvement process that involves bug reports, online feedback and updated features. However, newer versions of apps sometimes clash with existing firmware or phone types and as a result, they cause system crashes. There are many free apps available that will increase the phone’s Internet connection or the WiFi signal strength. These apps are designed to reconfigure standard connectivity settings in order to optimize the phone’s performance. Additionally, users can also change their phone’s internal Wi-Fi frequency band to 5 GHz. Most phones use the 2.4 GHz band and as a result, the frequency is crowded. However, on higher frequencies, such as 5 GHz, there is more free space available. In the end, uninstalling useless apps will free up storage room and updated app versions will perform faster and better. 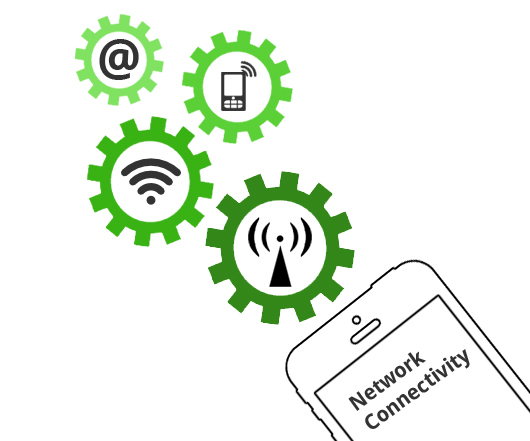 Using a higher WiFi frequency will drastically increase connectivity speed and reliability.